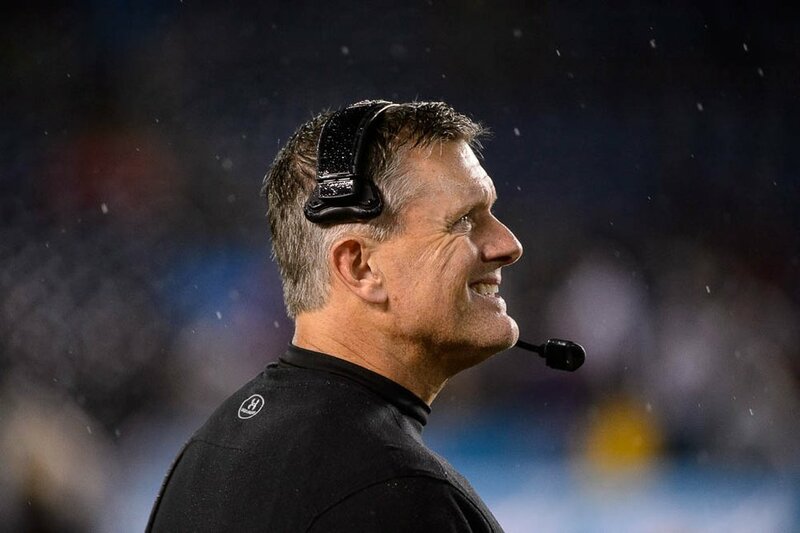 Football coaches Jim Mora, Todd Graham, Rich Rodriguez, Clay Helton (twice) and Mike MacIntyre were in the spot Utah's Kyle Whittingham now occupies, trying to follow through on a Pac-12 South championship in this decade. None of their teams repeated the next season. Whittingham's program is better positioned with returning personnel than those former division winners, but history says that going from a South title to a Pac-12 championship is far from guaranteed. The decisions of defensive linemen Bradlee Anae and Leki Fotu, running back Zack Moss and cornerback Julian Blackmon to stay in school rather than enter the NFL draft certainly improve Utah’s outlook. Led offensively by Moss, who ran for 1,092 yards in nine games before injuring his knee, the Utes expect to return 95.8 percent of their rushing and receiving production. Senior receiver Jameson Field completed his eligibility and junior receiver Siaosi Mariner is leaving as a graduate transfer, he announced Tuesday. The biggest offseason variable is how Whittingham replaces offensive coordinator Troy Taylor, who moved to Sacramento State as head coach. Among the coaches believed to be under consideration are Andy Ludwig, who left Utah after the 2009 Sugar Bowl and has spent the past four seasons at Vanderbilt; former USC coach Steve Sarkisian, recently fired as the Atlanta Falcons' offensive coordinator; and Ute offensive line coach Jim Harding. By allowing Northwestern to rally for a 31-20 win in Holiday Bowl on Dec. 31, the Utes joined the list of eight straight teams that were defeated in Pac-12 championship games and then lost their bowl games. The South’s defending champions have gone 1 of 7 in repeating as division winners, and UCLA’s achievement comes with the asterisk of USC’s having been ineligible during the Bruins' first title season of 2011. That's the history the Utes will have to overcome in 2019. USC is the only South team team to win a Pac-12 title. The Trojans' 2017 championship came two years after their first South title, and then they fell to a 5-7 record this past season. The Utes (9-5) fell out of the final AP Top 25 poll Tuesday, but the program’s ambitions remained intact. Athletic director Mark Harlan congratulated national champion Clemson in a tweet and said, “See you soon,” later clarifying that statement as a daily goal of trying to match the Tigers' standards. Utah will make the top 25 of most 2019 preseason rankings and will be a popular pick to win another South title after the program’s 2018 breakthrough. Losing only nine starters (including two kickers), Utah will join Oregon and Washington among the league’s favorites, despite falling to Washington in the Pac-12 title game and taking two defeats into the offseason for the first time since 1996. A more favorable 2019 schedule in the Pac-12′s rotation plays into Utah’s forecast, as the Utes will miss North powers Stanford and Oregon (replaced by California and Oregon State). The irony is those two opponents framed Utah’s 2018 success. The Utes were 0-2 in conference play before winning 40-21 at Stanford and their South title hopes seemingly were crumbling before they rallied to beat Oregon 32-25, without Moss and injured quarterback Tyler Huntley. Jason Shelley won his first three starts as Huntley's replacement before losing to Washington and Northwestern. 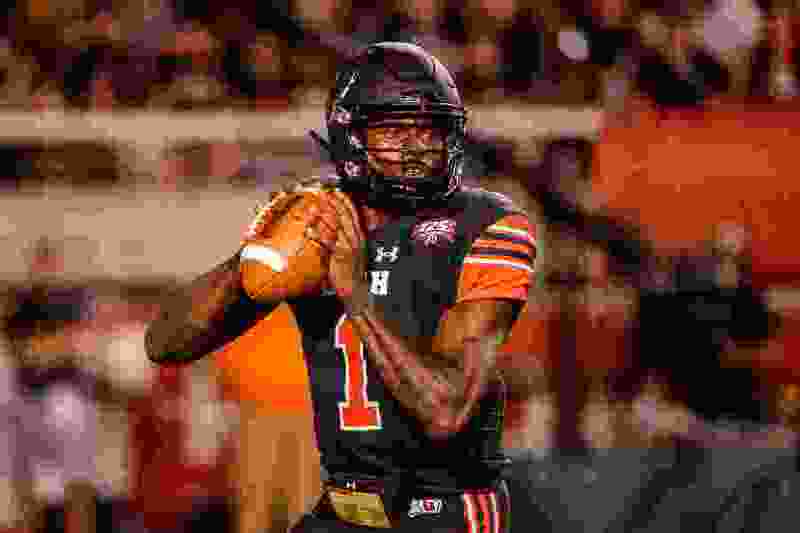 Huntley will be among more than 30 seniors on the roster in 2019, when he's expected to start again. Utah's 2018 senior starters were consolidated into four areas: kickers, offensive linemen, linebackers and safeties. Those players are “without a doubt, leaving this a better place than when they arrived,” Whittingham said. Their replacements largely will come from within the program, the potential exceptions being a freshman punter, a graduate transfer at linebacker and a couple of junior college players who may be added in the February signing period. Chayden Johnston originally won the 2017 place-kicking job over Lou Groza Award winner Matt Gay and has three years of eligibility remaining. Ben Lennon, another Australian punter, signed in December as the replacement for former Ray Guy Award winner Mitch Wishnowsky. The probable linebacker starters are Francis Bernard, who filled in for All-Pac-12 selection Chase Hansen for most of two games, and Penn State transfer Manny Bowen. Philip Afia and Terrell Burgess were second-string safeties; Utah may pursue a junior college player with one of its half-dozen or so remaining scholarships. Blackmon could move from cornerback to safety, according to UteZone.com. The offensive line will have three new starters, although guard Nick Ford played a lot as a redshirt freshman. Left tackle is a key position, with all-conference player Jackson Barton graduating. Braeden Daniels is a possibility after redshirting as a freshman, and Utah has a commitment from LaColby Tucker of Garden City (Kan.) Community College. The NCAA’s next signing date is Feb. 6. Utah’s spring practice usually starts about March 10. The Utes' season opener is Aug. 29 at BYU, followed by home games against Northern Illinois and Idaho State. Utah’s Pac-12 opener is Sept. 20 at USC. 2013 – UCLA 6-3 (T2). 2014 – Arizona State 6-3 (T2). 2015 – Arizona 3-6 (5th). 2016 – USC 7-2 (2nd). 2017 – Colorado 2-7 (6th). 2018 – USC 4-5 (T3).